Calendar: Event Pocket is clever. Folds in local locations and social feeds into calendar. 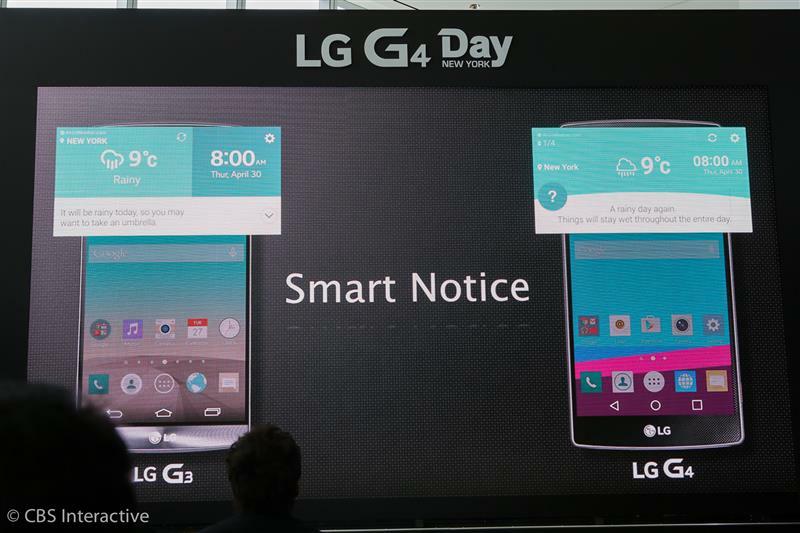 LG has expanded the Smart Notice feature from G3, by adding more recommendations and messages in the G4. LG offers a Quick Help feature to allow users to look up tips and advice on how to use the phone. Google will give every G4 owner 100GB of storage in Google Drive for two years. 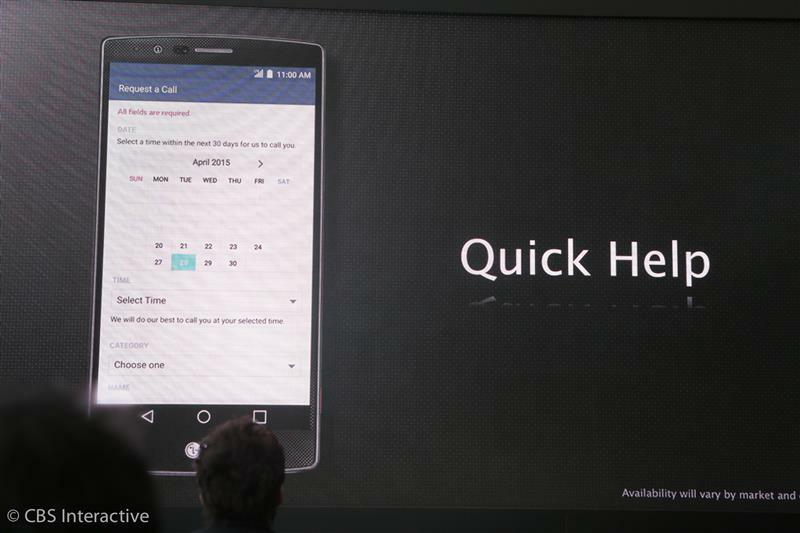 The Quick Help feature also allows you to schedule a customer service call. G4 users can log into the phone with their Google ID instead of an LG one. It's all part of LG's push to make a simpler phone without as much bloatware. G4 aiming for a Nexus-type experience, without being a Nexus phone. Google apps all pre-installed and emphasized. 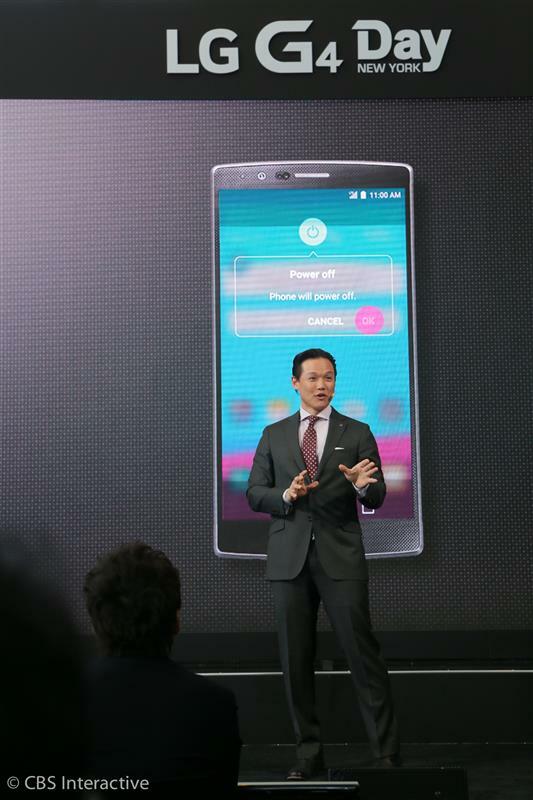 LG G4 owners who are Volkswagon drivers can take advantage of MirrorLink feature, Lee says. When we made our new smartphone, we put you at the center of our experience, he says. Lee says the "Life's Good" slogan as he begins to wrap things up. And with that, cue another video, this time less hype and more quiet emotion (lots of slow music and talk about feelings). Back to the gleaming sparkle-light video. I can't stand this "human-centric UX" slogan. The new tagline is "See the great, feel the great." What do you think. very excited about possibilities of the G4 camera and new display, though. And with that, the presentation is over. 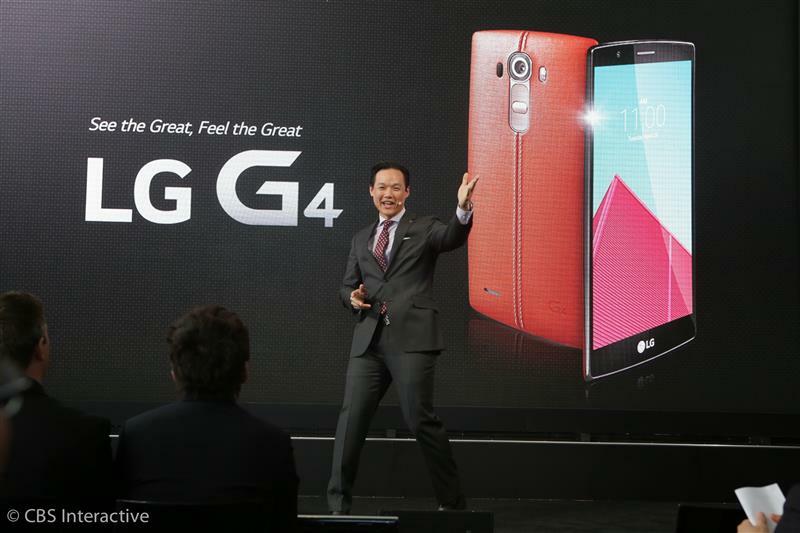 Lee asks everyone to check out the G4 themselves. There was a lot of weird declaration of emotions in that video. And with that, the G4 event is over. I'll be on Twitter at @jetscott with some photos from the event. 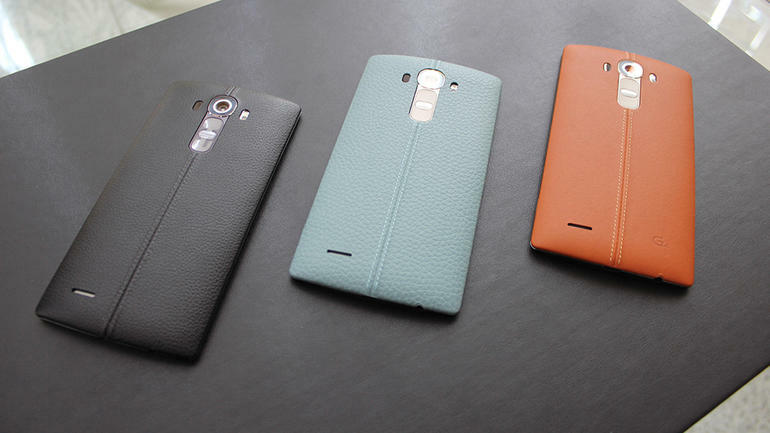 We'll have much more detailed info on the G4, along with hands-on impressions, within 15 minutes. Ok, I'm logging off to. Be sure to stick with CNET for the rest of the G4 coverage.